Poet's Notes: Among the strange phenomena investigated by American writer and researcher Charles Fort (1874-1932) were falls of animals from the sky, including masses of frogs. 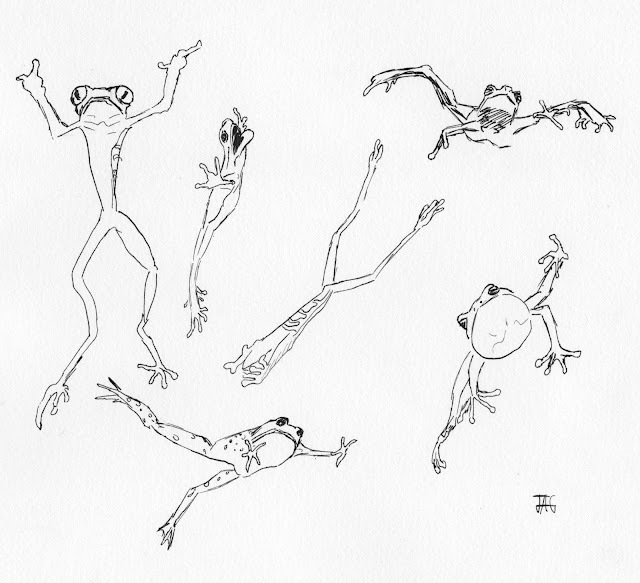 A frog freak, I have in this poem analogized the thrill of love to a rain of frogs. The adjective "Fortean" (not a word of my invention) refers to paranormal phenomena, of which Fort wrote with great style, wit, and originality. Editor’s Note: Enjoy a biography of Charles Fort here http://www.forteana.org/html/fortbiog.html. Also, apparently raining frogs is an actual thing https://www.youtube.com/watch?v=4uN5elpiDsk&frags=pl%2Cwn.